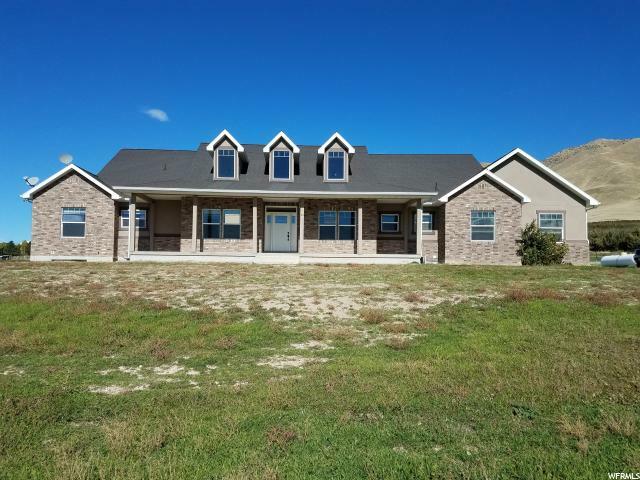 All Genola homes currently listed for sale in Genola as of 04/19/2019 are shown below. You can change the search criteria at any time by pressing the 'Change Search' button below. If you have any questions or you would like more information about any Genola homes for sale or other Genola real estate, please contact us and one of our knowledgeable Genola REALTORS® would be pleased to assist you. 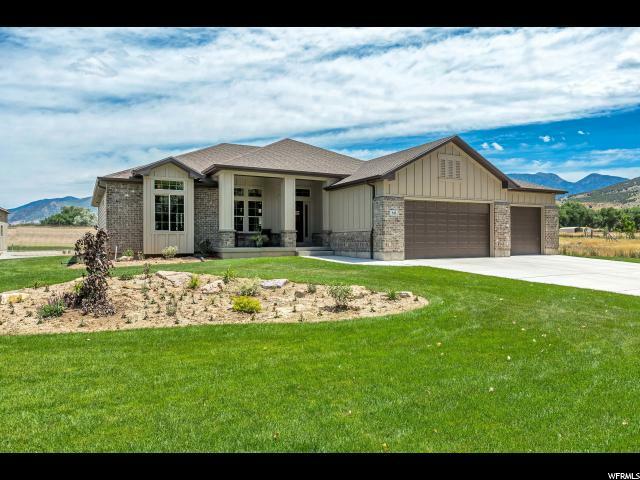 "This custom home is a must see, built by the owner and is immaculate both inside & out. Enjoy the spacious open concept family room & kitchen with custom shelves surrounding the fireplace. Upgrades include: granite counter tops, custom cabinets, travertine tile, home audio, home theater wired in the basement. Enjoy two spacious kitchens, making it perfect for a rental, mother-in-law apartment, or for big family dinners. The detached, 2944 square foot garage is perfect for all your toys, RV, boat, workshop, welding, mechanic, cabinet maker, and more! Garage has 16' ceilings, & it even has a bathroom! RV Dumping stations are set up on both sides of the detached garage with full hookups. Yard is fully landscaped with fruit tree's, a garden, and lots of property for horses or livestock. Enjoy low utility bills with over insulated walls and geothermal heating and cooling. A real gem! " "Beautiful home w/animal rights on 2.5 acres! 6 bed 3 full bath 2 half bath home 5,307 sq feet. Master bed w/jetted tub walk in closet, walk in shower w/ double shower heads. Enjoy the mountain views with a walk out deck and a play house in the backyard for the kids! Extra wide 2 car garage for more storage and central vac. 2 rooms in basement that can be used as additional bedrooms. Great views in the country with lots of storage makes this home a must see for all! " "This is a very comfortable, high quality home. It was originally constructed by a talented Contractor, for his own family. He spared no expense and designed the home well. The kitchen is spacious with a double oven. The home is heated with top of the line radiant floor heating. The master bedroom has a master bath and closet and has a nice second story view of the Genola country side. All of the bedrooms, and the laundry room, are on the same floor for your convenience. There are two huge storage rooms in the walk-out basement, as well as a cold storage room. The rest of the basement is framed and ready to be finished. In addition to the high-end kitchen, the main floor sports a spacious craft room, a luxurious living room and separate dining room, in addition to a large family room complete with fireplace. 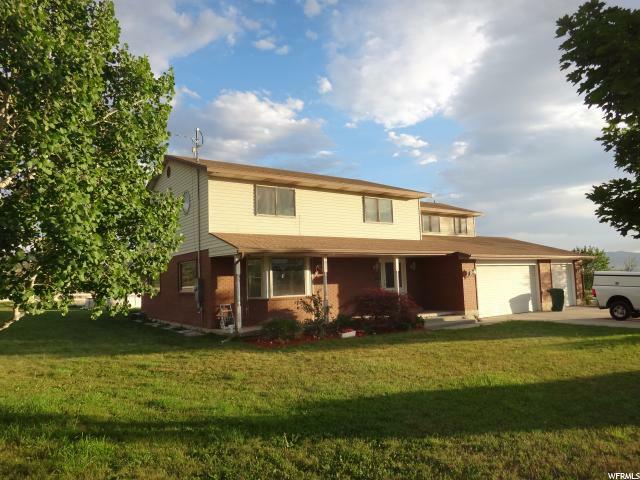 To compliment this wonderful home is a large yard with sprinkler system, landscaping, fruit trees and a large garden plot. There is a large cement, covered patio off the back, perfect for summer evening barbecues overlooking the barn and beautiful pasture! Stunning views! There are also a 1,440 sf barn & 480 sf tool shed built in 1997. The home sells with almost 7 acres. Come, bring your horses and livestock! Your neighbors are a hay field to your west, and fruit orchard to your east. We love the quiet, rural neighborhood... yet only minutes from town! Buyer to verify all information."